As Björk prepares for the release of her upcoming 10th major label release — over 40 years — she’s turning to the technology of the future. She’ll be integrating blockchain into her new album, in a partnership with British startup Blockpool. These Audio Coins will allow users to purchase things like limited edition albums. They will be “earned” through social interactions and, presumably, engaging in media related to the album. It’s a legit cryptocurrency — it works with a wallet and everything — but at the moment it just kinda sounds like a hybrid between a CVS pharmacy rewards card and a fan club. That’s not necessarily a bad thing. According to Musically, purchasers will receive 100 Audio Coins — currently an amount worth less than $0.20 — but the potential to earn more (and the ability to cash them out for fiat currency) give them as much “potential value” as the next cryptocurrency. This isn’t about jumping on a bandwagon or trying to get rich quick. It’s about doing things where you use blockchain and the crypto benefits in ways that people haven’t thought of yet. And in this case, very much led by Björk and her team’s creative vision for what this technology can do. Albums don’t sell themselves anymore, the landscape has changed for the music industry. In 1996 Alannis Morisette’s “Jagged Little Pill” sold more than seven million albums. A decade later the top selling album was “High School Musical,” which sold more than eight million. Then came the iPod and we were able to put thousands of songs in our pockets, spelling doom for discs. The music industry has been in steady decline ever since. Last year’s number one selling album, Adele’s 25, sold a little over 1.7 million copies. Björk isn’t exactly revolutionizing the space — this isn’t a fever-dream pitch full of hyperbole and crypto-nonsense — but she’s opening an interesting door. Her blockchain integration seems like the type of thing a progressive startup pitches a stodgy major record label as a viability test for bigger ideas. It’s hard to imagine anything that relies on album sales to have a future though, even blockchain can’t make us change our minds about Tower Records. Yet with nothing to lose it’s not exactly a bold move either. 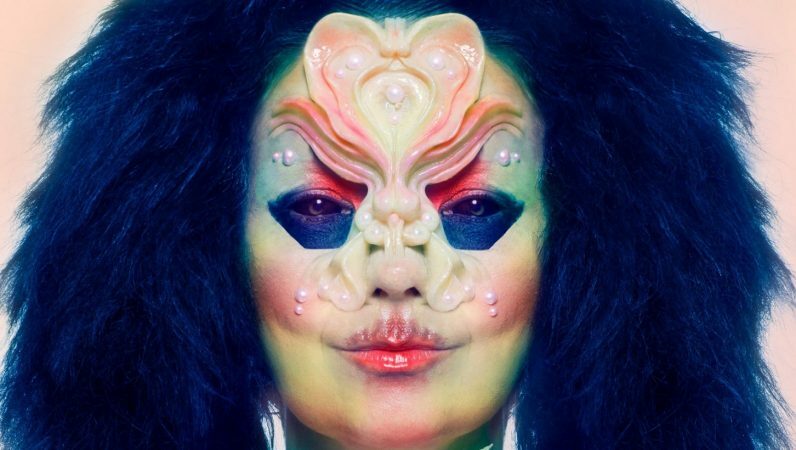 Fans won’t care if it fails and Björk will do just fine on streaming charts later this month. Björk isn’t going to revive record sales with this, but anything that helps to mainstream blockchain is welcome to those of us who believe it has potential to do so much more than just be Bitcoin. Maybe advertising doesn’t have to be the future of music. I’d much rather put up with ICOs and cryptocurrency nonsense than hear another insurance company commercial during a Nirvana playlist.